Detailed information and reviews of US companies offering chauffeur driven wedding limousines, airport transfer & transportation and luxury limo rental services. Post your requirements and receive no obligation price estimates and quotes. Reasonable Price For Transportation - Transportation for 6 adults and 7 children from Toms River, NJ to Manhattan Piers drop off aug 18 and pick-up aug 26. Wedding 5/18/12 - Looking for a quote for 5/18/12 for wedding to accomodate 18 individuals for bridal party. Thank you. Birthday Party - We are looking for a limo ride for about a half hour! 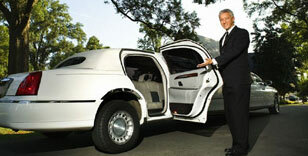 Anniversary limo rental quote - Anniversary is December 22. Need a good deal or a package.